We'd asked you, dear readers to tell us if a part/s of Sairat/Dhadak reminded you of your own love story? 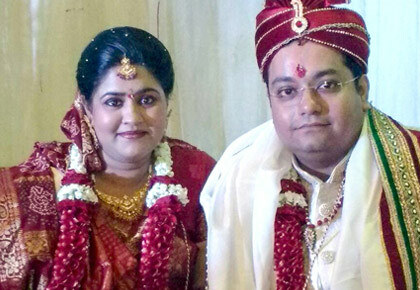 Rediff reader Rajdeep Basu shares his story. Our story is nothing short of a Bollywood masala film. 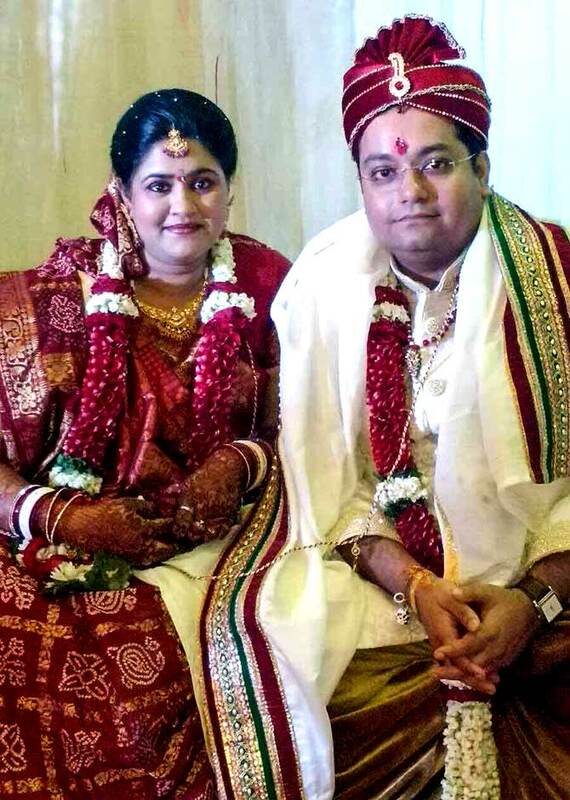 Priyanka and I met when we were pursuing our MBA from the Narsee Monjee Institute of Management Studies, Mumbai. We were class mates but never interacted in the first semester. In the second semester, we were in the same group for a marketing project. The project went well and we became good friends. She used to talk to me after class. I used to help her (study) with accounts and she would help me in statistics. Priyanka's family was looking for a groom for her but somehow things did not work out. I felt Priyanka liked me. One, she asked me if I would be willing to marry her! Honestly, I could not find a reason to refuse her. Convincing our parents (for our marriage) was difficult. Priyanka is a Gujarati, who was born and brought up in Mumbai. I am a Bengali, working and studying in Mumbai. Priyanka's parents were strictly against our marriage. I met Priyanka's family thrice to convince them that I really loved their daughter. We waited for three years and eventually registered our marriage. On December 7, 2015 we bunked office and got married. We waited for the right time to break this news to her family. It was finally decided that Priyanka would leave her house on January 26, 2016 after writing a letter to her family along with a copy of our marriage certificate. I was waiting for her in my car. After she came out we both waited nervously in the car. Her mom called and asked her never to return to the house. Priyanka had come out of her home empty handed. She didn't carry any clothes or her wallet. We went to all of Priyanka's close relatives and informed them that we had married. Then we went shopping. The next three days, there was plenty of heated call exchanges. And a miracle happened. In Priyanka's family's WhatsApp group she found a lot of congratulatory messages. We received a call from her dad. He told us that the family had accepted our marriage and they would like to hold a social function for both of us. We had our social marriage on March 6, 2016. My mother flew all the way from Kolkata to attend our wedding. Since we didn't know anyone in Mumbai, Priyanka's family took full responsibility of our marriage. Today, I share a very healthy relationship with my in-laws. They treat me like their son. I am posted in Kolkata and my wife is working in Mumbai. We are rediscovering our love towards each other in an all new way. Many times during our courtship we tried to call our relationship off. We failed. My wife had once told me that I should never leave her hand. If I did she said she wouldn't be able to bear the pain. Her words always rang in my ears and it gave me the strength to face everything. Dear readers, do parts of the film Dhadak/Sairat remind you of your own love story? How did you meet your partner and fall in love? Did you face resistance from your family members? What were their concerns? How did you resolve them? Did you elope and marry or did you wait to seek your parents' approval? Tell us all about it. Share your love story and tell us what you learned from it. What advice do you have for couples who face resistance from their families? Send in your stories, advice and suggestions on getahead@rediff.co.in (subject: My Dhadak Story) along with your NAME, AGE, LOCATION and a photograph, if possible. We'll carry the best ones right here on Rediff.com.